“You like this crap?” he snickered, sliding the bag across the counter as though it contained something toxic. “I dunno,” I mumbled. “I saw them last night on Don Kirshner’s Rock Concert and they seemed pretty cool." “Cool” was an understatement. 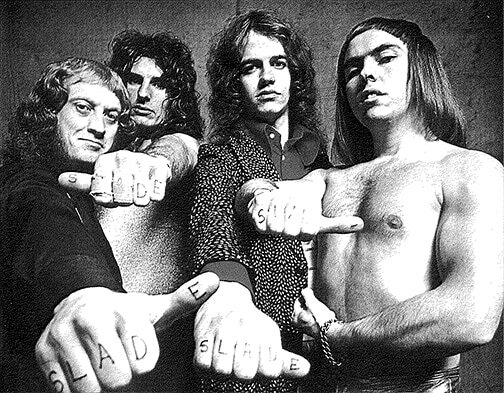 Crouched in front of the television set in the family room with the sound turned down to keep my father from roaring into the kitchen demanding to know what all the noise was at one o’clock in the morning, Slade had blown my 12 year-old mind. 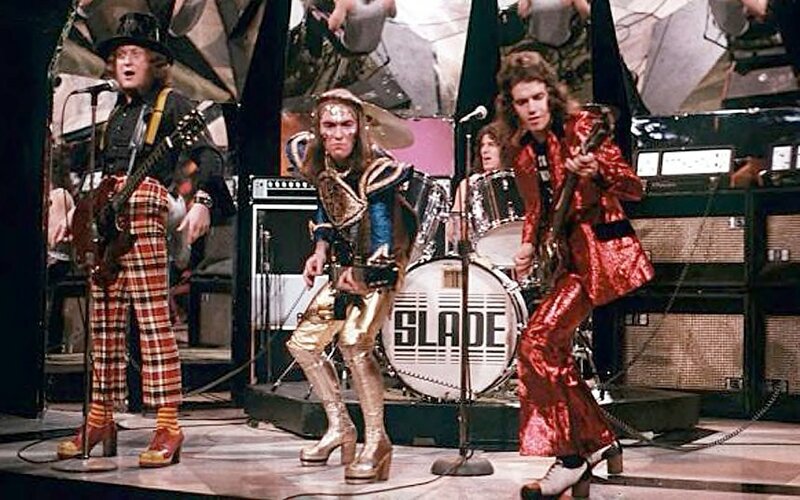 Slade on stage — rock n’ roll needs more of this! So, yeah, pimple face, I do like this crap. For weeks Slayed? was my entire record collection, — and I played it non-stop; pushing my Zenith close-and-play’s hi-fidelity to the limit with Noddy Holder’s hair-raising wails gnashing through the speakers like an unholy union between Little Richard and Janis Joplin with a touch of Robert Plant and Bon Scott of AC-DC thrown in for good measure. It’s possible my family has never forgiven me for not broadening my record collection sooner, but I’ve never asked. I even took the record to school with me once because when rain cancelled recess, we were allowed to play records to pass the hour sitting at our desks staring at bologna sandwiches and cartons of milk. Sister Margaret Clare eyed the album suspiciously and then demonstrated that while a book should never be judged by its cover, an album by Slade could be, and I could retrieve my record from her — unplayed — after the final bell of the day. The thing is — and I’m not in the least bit ashamed to say this — after 45 years I still love this record. It is unequivocally one of many musical guilty pleasures that summons me back to a world of awkward adolescence that was made a little more tolerable and a lot more enjoyable with the drop of a record needle. All ten songs on the album boast an exhaustive galloping rhythm, stomping beats, handclaps that sound like shotgun blasts, and stadium-sized chorus' with lyrics mainly about going crazy, feeling good, giving it all you’ve got, and letting the good times roll. There's the requisite homage to how much fun it is to play in a rock n’ roll band — alongside a more sombre acknowledgement that stardom (life?) is fleeting, so enjoy it to the fullest while you can. There’s a terrific cover of “Move Over” that would have made Janis Joplin smile, and there's today’s Happy Medium Song of the Day: “Mama Weer All Crazee Now” — the second, No. 1 hit single from the album Slayed?